"I'm a folk musician in that I'm writing about real life. It's journalistic, writing what I see and what I know, the times we're in, and the things that people face today." Ellis Paul was a chief architect of what has become known as the Boston school of songwriting, an urbane, literate folk-pop style that helped ignite the folk revival of the 1990s. His finely chiseled, deeply human songs have won him no less than 13 Boston Music Awards (and more nominations than you could shake a stick at), including the 2004 Male Singer/Songwriter Award, as well as the prestigious Kerrville (TX) New Folk Award. With a direct, authentic performance style, Ellis delivers his tunes in a high, clear voice that strikes directly at the heart, as he bridges the gulf between contemporary folk and the populist traditions of Woody Guthrie and Pete Seeger, combining a deep respect for folk storytellers gone before with a solid pop sensibility. 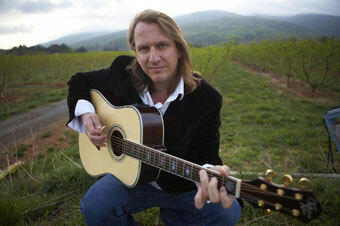 Ellis' recent albums include a Parents' Choice Award-winning children's CD, The Dragonfly Races, and The Day After Everything Changed. 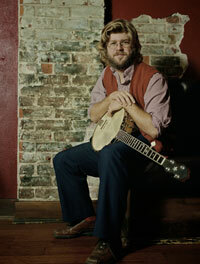 Canadian roots singer-songwriter Old Man Luedecke opens tonights show.